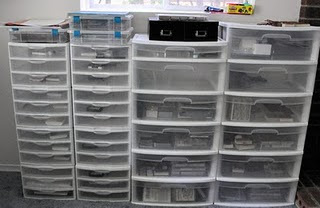 So, this Crafty Storage blog post was a bit different. 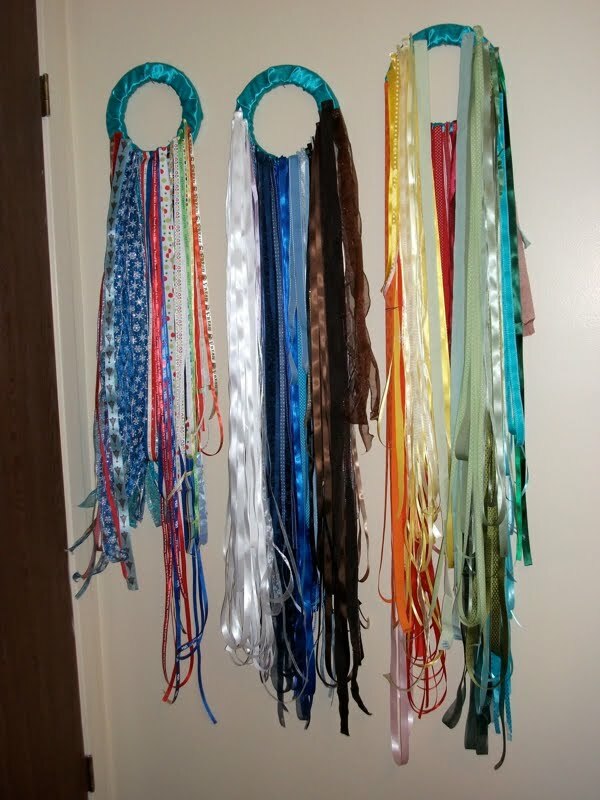 Instead of showing you how to store the scraps, I've given you a quick way to use 'em all! 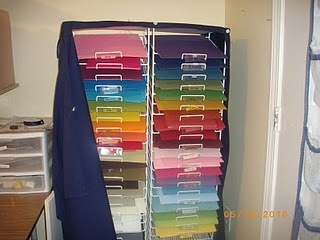 :) This should help to free up a bit more space and allow the Crafty Storage to continue. 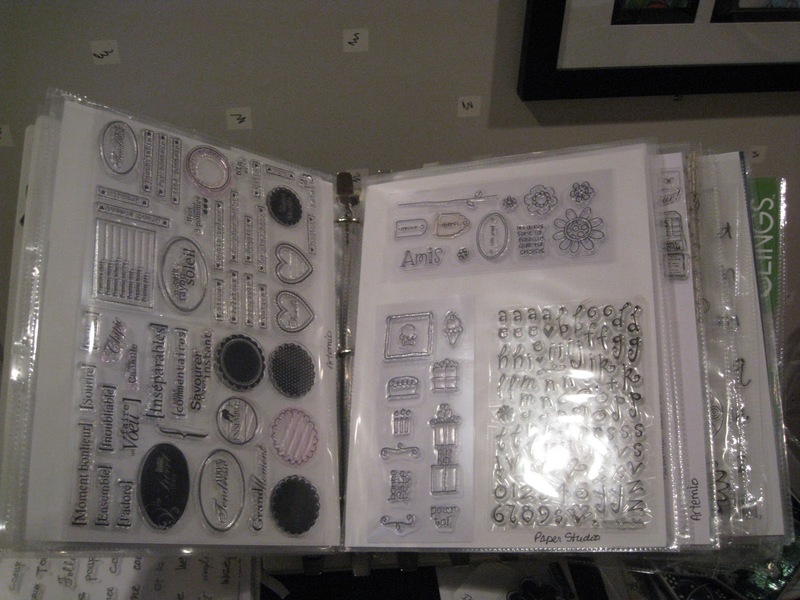 Unmounted stamps have quickly become an extremely popular choice with stampers. The lack of a wooden block means they're inexpensive to ship, extremely portable, and take up a lot less space. This time it comes from France. Debbie's idea is not new, but it is always good to be reminded of good ideas. 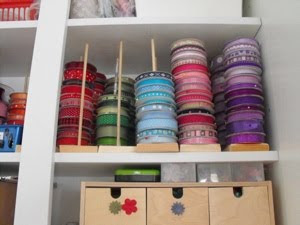 Shauna's ribbon storage is a clever one, Shauna refers to them as her "Wheels O' Ribbon". 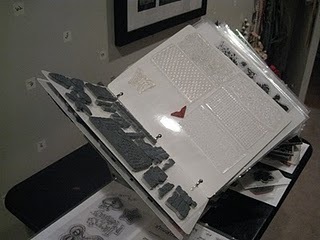 They are three fabric-covered Styrofoam wheels that are pinned all of her ribbon. 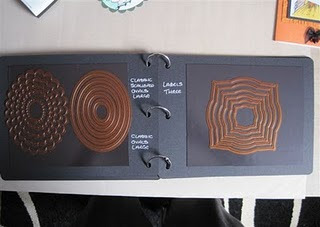 You can see detailed description of how/why Shauna created these on her blog. Shirley found this at Target and immediately thought of dispensing glitter out f it. "I love keeping colorful supplies in view, they inspire me and this? 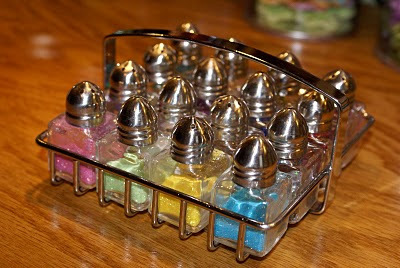 Just makes me want to sprinkle something! 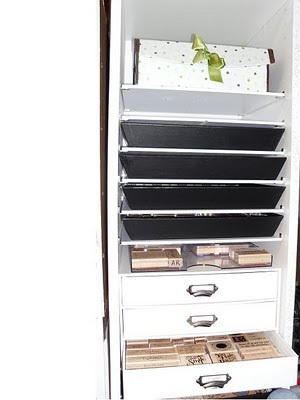 :) "
For this and more storage ideas visit Lorna's blog here. Note. If you scroll down on the right hand side to her labels and hit the storage label, you'll be able to view all her storage posts in one go. 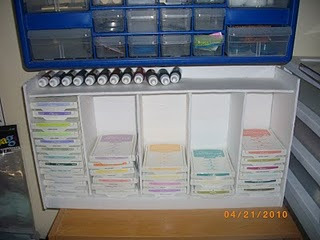 IKEA curtain wire across the top and magnetic knife holders display cards and projects. Jet Max cube system and a pegboard from Walmart. 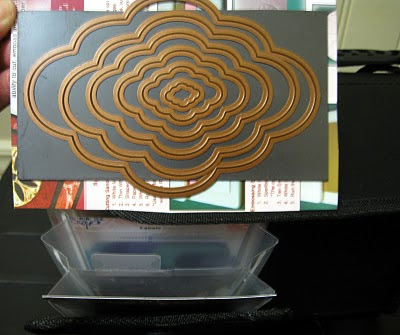 I love this ink pad holder foam core ink pad holder that her daughter made for $2 and some glue sticks. Above it hangs a screw etc caddy from the hardware store. 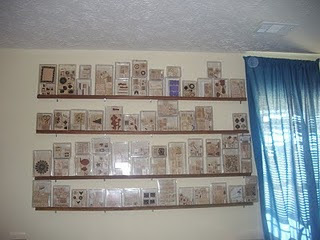 Her handy daughter made Beth these racks to hold the stamp sets. After seeing something similar at IKEA for 20 dollars for 6 feet, she made them out of wood, stained and mounted them for 20 dollars total! 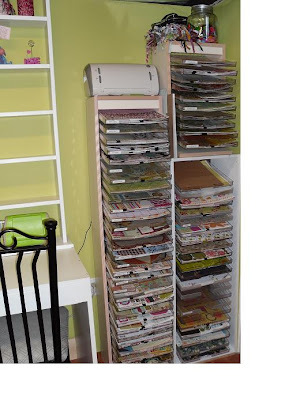 After losing more than a few sheets of cardstock to fading from the sun, Beth asked her friend Larissa to make a "cozie" for the paper racks. Click here for more photos and explanation. And here for the main page of Beth's blog. 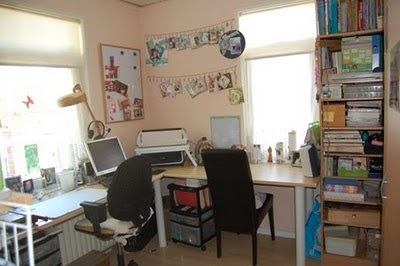 This is Jenneke's studio or as she calls it,m her centre of creativity. I Love how Jenneke stores her punches over the radiator. Hopefully, the plastic wont melt! 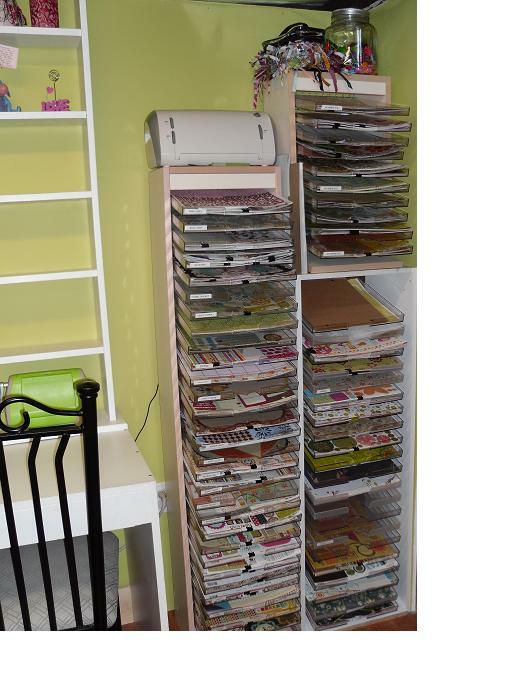 France uses a catalogue holder from a office store to hold unmounted rubber stamps. Click here for France's blog. 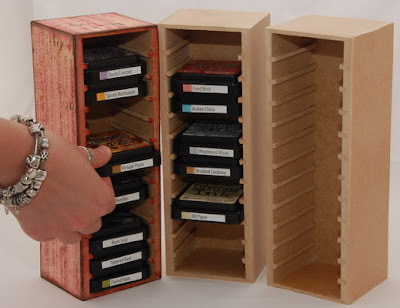 My friend Soraya and her husband Peter has designed its own storage system for ink pads! Every time she was looking for a neat and easy way to store my distress ink. And if she used the ink, she always had to go looking for the right colour ... really awkward ... until her husband came with the solution ... he made some sketches ... went into his workshop ... and after a few days he came with a prototype. 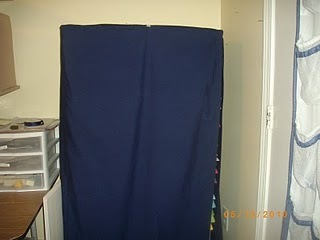 She was just so excited, finally a good storage system, convenient and easy. She can easily take it with her when I go scrapping, it’s an excellent addition to her desk and she can even finish it to suit my style by scrapping it in the colours she like. 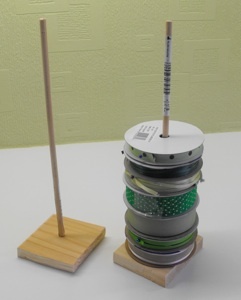 Meanwhile, the prototype has grown into a full model. 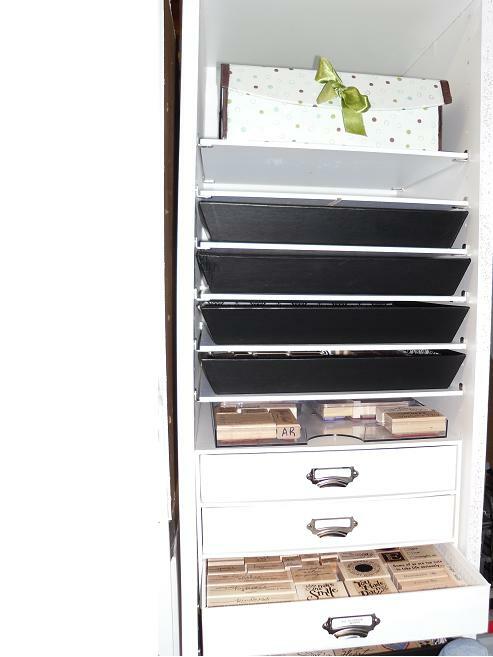 They have chosen to put this article on the market, because she is convinced that more people are looking for good storage solutions. 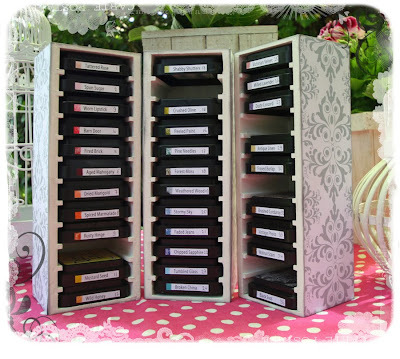 So take a look at her website for more photos of the Ink Pad Storage Tower designed by Made by Soraya. 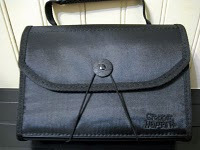 This is also the place to order them. Ofcourse I have them myself and they are super! I altered them, so they fit nicely in my interior. 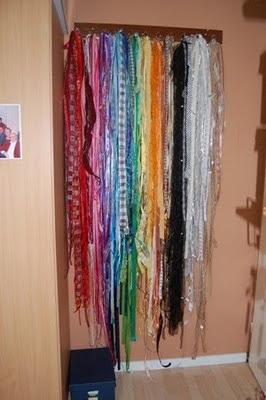 For more pictures see my blog (Maria). 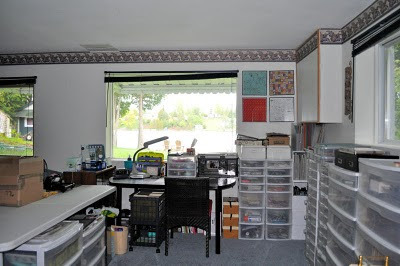 This studio is filled with lovely details and great storage ideas. So, just take time and look carefully. Not only is pretty -lime green and white, perfect combo!- but it is practical as well. A place for rubber stamps and bellow papers and cricut. 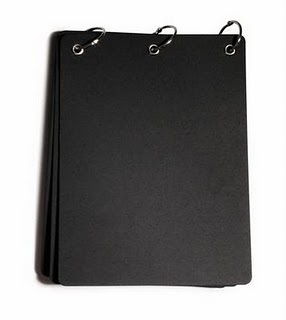 I love the practicality of it. Specially, the sorting of inks by color. To check out more photos and explanation click here. Marijke loves ribbons and she hangs them on the wall by color, that's very clarifying. 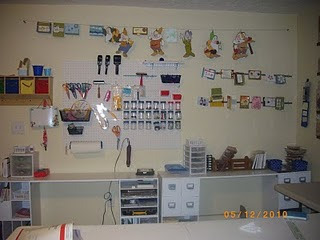 Some more pictures of her craftroom. 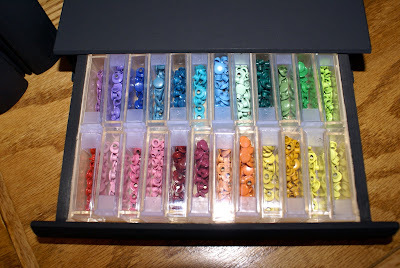 I love the colored plastic drawers.